Easy Rental is one of the leading Jordanian car rental Company. We work with multinational and local car rental companies to provide our customers with value for thier money when renting a Car beside our 200 + cars fleet , at convenient locations in Amman , Queen Alia Airport, and at King Hussien bridge. •	Easy Rental’s General Terms & Conditions Listed on the Rental agreement. •	The laws of the The Hashemite Kingdom Of Jordan. To start you need to know where you will be picking up your car, where you want to drop it off and the dates and times. Once you have entered this information on our homepage you will be shown a list of available cars with descriptions and the price. Take a look at the cars available and choose the one that best meets your requirements. If you are happy with your selection you enter the driver’s details, contact details and flight information (if applicable). If you have any questions we recommend you check our Frequently Asked Questions (FAQs). Some vehicles, typically people carriers and larger car types, are in high demand and limited in availability. During the booking process, we indicate the 'limited availability vehicles' by a red warning triangle and the words 'limited availability'. In order for us to confirm availability , we will ask you to complete a booking request form and provide your credit card details. We will also check at this stage that sufficient funds are available on your credit card to complete the process but do not take any payment. This is done in the form of a pre authorisation where we freeze the value of your booking against your credit card. Once we have confirmation of availability, we will proceed to take payment and send you a booking voucher and receipt by email. This process normally takes less than 48hrs . If, after 72 hrs, we are unable to confirm availability, we will cancel your request and the pre authorised amount will be automatically released by Easy Rental. Please note, the release of the pre authorised amount can take your bank between 5-7 days. Fuel Policies You are provided a car with a tank of fuel and you must return the car with The same amount of fuel. This insurance is provided by Easy Rental. It is a basic insurance providing coverage on bodily injury to persons and on property damage to others. Only 25 years old and upove Drivers are covered,there for we cant rent anyone under 25 years old. Important Note: All insurances are invalidated if the hirer or any other named driver knowingly lets an unauthorised person drive the car or invalidates the rental agreement. Easy Rental will recover full damages incurred while a car is being driven by an unauthorised driver or invalidates the rental agreement from the hirer’s credit card. All our prices include Collision Damage Waiver which reduces your liability in the event of an accident . the local terms and conditions indicate the level of excess you will be liable to pay in the event of damage or loss while the vehicle is on rent to you. The driver age required is 25 . Easy Rental also required the renters to have a current driving licence . In some cases, we are able to include one additional driver at the time of booking. If you’d like to add more drivers please arrange and pay for this when you collect your car. •	Cash in the office , on arrival. We charge a credit card /debit card fee depending on the card you use. These are clearly stated at the time of booking. We are not able to accept payment by cheque. Changing any element of your booking may result in a change to the price. If the cost of the changed booking is greater than the cost of the original booking, you will be charged the difference. •	Extend the end date/time . If you cancel your reservation within 24 hours of placing the booking, Easy Rental will issue a refund to the value of the booking, less non- refundable charges. If you cancel your reservation more than 24 hours from the time of making the booking no refund will be issued. All bookings cancelled less than 48 hours from the due pick up date and time are non refundable. Notwithstanding any terms of your rental, your statutory rights to a refund shall remain unaffected. For further information about your statutory rights, contact your Local Authority, Trading Standards Department or Citizen’s Advice Bureau. Cancellation Option For your convenience and improved flexibility easyCar offers an enhanced Cancellation Option. For £9.99 per rental, you can extend the free cancellation period to within 48hrs of the start of your rental. Under this policy if you cancel your reservation more than 48 hours before the due pick up date and time, easyCar will issue a refund to the value of the booking, less non-refundable charges. •	Credit and debit card charges are non-refundable. •	Cancellation Option charges are non-refundable. we may at our discretion offer you a refund for the rental cost less an administration fee. Supporting documents may also be requested. Website Errors While we try to ensure that all details (including prices, fees, surcharges and taxes) quoted on our website are accurate, errors may occur. If we discover an error in any detail (including the price of your rental), we will inform you as soon as possible and give you the option of reconfirming the booking at the correct price or cancelling it. If you cancel, you will receive a full refund. If we are unable to contact you, we will treat the booking as cancelled. To the fullest extent permissible, we exclude all warranties and representations, express or implied, as to the accuracy of the information contained on the website. We are not liable for any loss or damage arising from the use of any information contained on the website (other than in respect of death or personal injury caused by our negligence). Bookings made with Easy Rental are on the basis of car type and not specific car model, type or colour. Please refer to the website for a description of the car types, the number of seats and luggage capacity. Easy Rental will do its best to provide you with the car type specified when you made your booking. From time to time, for operational reasons it may be necessary to provide you with an alternative vehicle type to the same or better standard of the vehicle booked. When you collect your car you will be required to sign Easy Rental agreement. Any additional purchases made after this has been signed will be your own financial responsibility. Where you have taken our Pay on Arrival option, you will need to pay the balance outstanding at the location. The balance is paid in local currency USD or Euro direct to the Office. You will be required to leave a deposit to cover the excess liability arising in the event of an accident, damage or theft of the car. A vehicle may not be allocated unless a deposit is taken. Returning Your Vehicle Please return your vehicle (and any extras) to the rental location at the agreed end time and well in advance of your onward travel schedule to allow sufficient time to complete the end of rental formalities as detailed below. You must return your vehicle in the same condition as it was at the start of your rental period. You should carefully inspect the car with a representative . Failure to do so will mean you are unable to dispute subsequent damage charges that may be applied . EasyRental reserves the sole right to judge whether any damage sustained during your rental period is fair wear and tear or is chargeable (under the conditions of the insurance provision). If you are going to be late returning your car, we strongly advise that you contact the office as soon as possible. Cross Border Travel You must refer to the local terms for your rental location to see whether country/state border crossing is permitted and if any charges apply. Local Driving Laws Please make yourself aware of the local driving laws before you travel. Jordan have an Automobile Association who will be able to provide you with more information. Breakdown and Accidents In the event of any incident, such as an accident involving your vehicle, theft of or to your vehicle or mechanical difficulties, it is important that you report these to Easy Rental at the earliest opportunity, by calling our 24hrs hotline. In the case of theft or an accident in which any of the parties are injured, you must inform the local police immediately and obtain an incident or crime number and a signed police report. Full details of third parties and witnesses (including contact details and vehicle registration numbers) should also be obtained. If keys are lost or damaged, you will be liable for the reasonable costs of obtaining a replacement key(s) and further costs if directly related to the vehicle's theft. The vehicle will have not been considered returned until a correct set of keys has been provided to a member of staff at your rental location. The Legal Terms Termination Your rental may be terminated and your vehicle repossessed (at your expense) for any serious breach by you of the terms of your rental or the rental supplier reasonably believes you are in serious breach. Consequential Loss We are responsible for losses you suffer as a result of us breaching the terms of the booking voucher if the losses are a foreseeable consequence of our breach. Losses are foreseeable where you and/or we could contemplate them at the time our agreement was formed. We are not responsible for indirect losses that are not foreseeable by you or us (such as loss of profits or loss of opportunity). Limitations on Liability and Law We disclaim to the maximum extent permitted by law all warranties expressed or implied by statute, custom or usage relating to the information contained in our website and we shall not be liable whether in contract tort (including negligence) or otherwise arising from the website or from any interruption or delay in accessing the website. We may retain your card details and you consent to us debiting such amounts for which you are responsible liable for and you will reimburse us in respect of, all claims by or against it resulting from your failure to comply with the terms of your rental, including theEasy Rental Terms and Conditions, the local terms for your rental location, booking voucher and/or the terms of any related insurance policies. 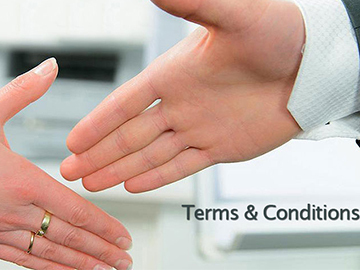 The laws of The HKOJ shall apply to this website, these Terms and Conditions and to the issue of the booking voucher. The local terms for your rental location shall be subject to the laws of the jurisdiction within which the local terms are made. •	Until your vehicle is returned to your rental supplier you will be liable as hirer of your vehicle for any offences, penalties or fines committed or sustained in respect of your vehicle under any relevant local road traffic legislation during your rental period. •	In the event that Esay Rental is charged with any penalty amounts in respect of offences committed while your vehicle is on rent to you during your rental period, Easy Rental reserves the right to deduct these penalty amounts (in addition to any administration fee(s) arising there from) from your card, with hold your deposit and/or supply your details to the relevant authorities. •	You shall be responsible for your vehicle during your rental period in accordance with these Terms and Conditions, the booking voucher as well as the local terms for your rental location, and for ensuring that any drivers and additional drivers also observe these agreements and their terms and conditions. •	The information that you have supplied is true, and that all material facts which might reasonably be expected to affect either the insurance or any decision to enter into your agreement for the hire of your vehicle have been disclosed. False, misleading or untrue information may invalidate any insurance and you may be exposed to unlimited liability to third parties Definitions or What does this mean? administration fee	sums payable by you to cover our reasonable internal administrative costs. booking amendment charge	sum payable by you to cover operational costs in order to change your booking details. Costs specified in the local terms for your rental location. driver(s)	the person whose name appears in the relevant section of the booking voucher as the driver of your vehicle and any further drivers listed to drive your vehicle as additional drivers. incident	without limitation, any loss, damage, accident or other mishap involving your vehicle, whether the loss or damage is sustained to your vehicle itself or to a third party. insurance excess the amount payable by you in the event of an incident covered by insurance. Amounts shown on your booking voucher late return charges charges you agree to pay to us if your vehicle is returned later than the agreed end time. These charges will be repeated for each day or part of a day until your vehicle is returned to your rental supplier. collision damage waiver	amounts you are required to pay to reduce your liability for loss or damage to the vehicle up to the level of the insurance excess. opening hours	Location specific times of operation as specified in the local terms for your rental location. post-rental charges	Any amounts that you are liable for, incurred during the rental period. rental location	the relevant rental site from which you collect and to which you return your vehicle according to your booking voucher. supplementary charges	all and any additional charges and costs incurred by you above the rental cost in relation to your rental of your vehicle. These include damage charges, late return charges, administration fees and parking fines. unfit to drive	any physical condition that prevents you from driving a vehicle. you/your	renter, the customer of our company.